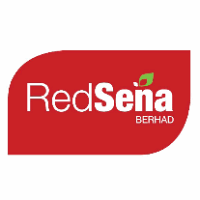 Red Sena Bhd, the fifth Special Purpose Acquisition Company (SPAC) after Hibiscus Petroleum, CLIQ Energy, SONA Petroleum and Reach Energy is scheduled to be listed in Main Market on 10th December 2015. Unlike the previous 4 SPACs, Red Sena will be involved in food and beverage (F&B) Sector instead of Oil & Gas. The Initial Public Offering (IPO) of up to 800 million ordinary shares at an IPO price of RM0.50 per share at RM0.01 par value. It comes with 1 free detachable warrant for each share. The warrants will be listed and tradable from the date of listing, with an exercise price of RM0.50. The IPO comprises of 80 million shares with 80 million free warrants made available for application by the Malaysian public via balloting. Reach Energy Bhd, the forth Special Purpose Acquisition Company (SPAC) after Hibiscus Petroleum, CLIQ Energy and Sona Petroleum is scheduled to be listed in Main Market of Bursa Malaysia on 15th August 2014. Reach Energy will be involved in Exploration and Production activities in Oil & Gas. Upon listing, Reach Energy will become the largest SPAC in Malaysia. The Initial Public Offering (IPO) consists of 1 billion ordinary shares at an IPO price of RM0.75 per share at RM0.01 par value. It comes with 1 free detachable warrant for each share. The warrants will be listed and tradable from the date of listing. The IPO comprises of 20 million shares with 20 million free warrants made available for application by the Malaysian public via balloting. The rest are for private placement. Sona Petroleum Berhad Initial Public Offering (IPO) received an overwhelming response with its public portion of 141 million shares. It was oversubscribed by 5.97 times. The IPO attract 24,035 applications or 842.27 million shares. Notices of Allotment will be dispatched by post to all successful applicants on or before 29th July 2013. Sona Petroleum is expected to be listed on the Main Market of Bursa Malaysia on 30th July 2013 under stock name “SONA”.